This royal Alexandria Library was once the greatest and largest libraries in the ancient world. It was dedicated to the Muses, the nine goddesses of arts and flourished during the Ptolemaic dynasty. It functioned as the main scholarship center from its construction in the 3rd century BC until the Roman conquest of Egypt in 30 BC. 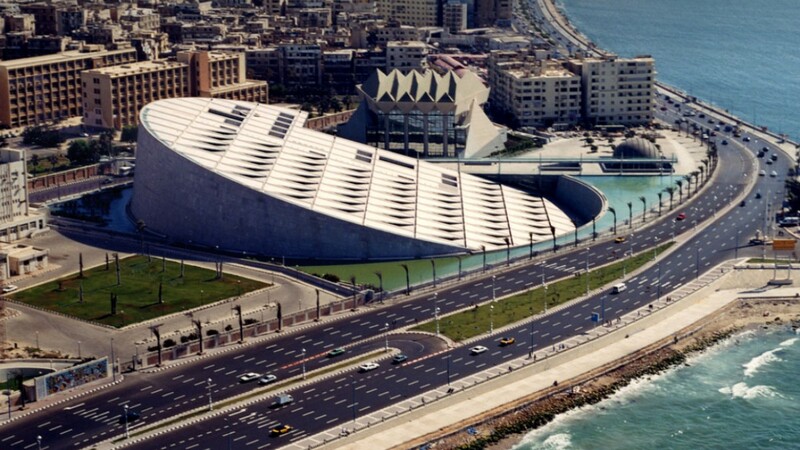 Alexandria city was once considered to be a great center of knowledge and information because of its great library, which was actually part of the Museum of Alexandria, where many of the amazing thinkers and philosophers studied. Ptolemy I Soter, who was the successor of Alexander the great, was the one who created this gorgeous library. It is estimated that the library was a house for more than 700.000 books. It was the first public governmental library in history. This great library combined both east and west civilizations. Every scholar studied in this great library has left a copy of his written book. Many fires and a lot of earthquakes have caused a lot of damage to the city of Alexandria and its library. A lot of historians believed that Julius Cesar burned 101 ships, which were landing on the shore of the Mediterranean Sea because of his fight with little Ptolemy, Cleopatra’s brother. This huge fire reached the library and caused a terrible cultural damage. Many books were burned and damaged because of this fire and a new library had to be established. The first action to rebuild this library took place in 1974 but the real step started in the late 1980s. The Egyptian President declared the need to rebuild this majestic library with the help of UNESCO. After the establishment of the modern library, President Hosny Mubarak made an international architectural designing competition and the prize was sixty thousand American dollars in 1988. The prize was won by Snohetta, the Norwegian architectural design grand company. He managed to re-open the library on October 17th, 2002 in the location of the ancient library. It received a donation of 500.000 books from the National Library of France in 2010, which made it the sixth-largest Francophone library in the whole world. The modern Alexandria Library consists of four underground stores and six upper stores. Its oval shape is a special architectural germ. This shape is a symbol of the continuity of life. It is surrounded by a great wall that was made out of Aswan Granite. This wall contains writing and inscriptions in 120 languages. The library is divided into reading sections. It has the same importance as the previous one. It acts as a public research library and supports the people of the Arab world and the Middle East to retain their old position as scholars and researchers in different fields of science and it is the first digital library in the whole world. The library includes 8 million books, six specialized libraries, three museums, research centers, two permanent galleries, six halls to host art exhibitions, an internet archive, audio, and visual library. It also includes a special library for blind people, a library for children, a library for teenagers, a microfilm library, the library of the rare books and a conference center. The Arts and Multimedia Library. The Rare Books and Special Collections Library. This museum was established in 2001, which is the first archeological museum in the library. The museum collection provides an interesting glimpse into the Egyptian history from the pharaonic era to the Roman civilization before the advent of Islam. It also provides the artifacts descriptions in three languages (Arabic-English-French). This is a unique museum, which provides visitors with rare digital manuscripts and books. It was also established in 2001. Its main target is to preserve the heritage and create a new restorers generation. It contains more than 6,000 rare books, documents, and maps. There are three sections inside the museum, Rare Collections: contains the unique items of the library such as books, maps, and antique coins. Microfilm: includes microfilms for around 30,000 rare manuscripts and 50,000 documents. Museographic Display: is divided into two sections, the Exhibition Gallery, the Travelling Exhibition group. It contains many personal belongings of the greatest Egyptian President Anwar Al-Sadat and a recording of his voice reading a part of Quran. This collection includes the president’s military robes, his Nobel Prize medal, his copy of the Qur’an, a few of his handwritten letters, and pictures of him and his family. It also includes the bloodstained military robe he wore the day of his assassination. 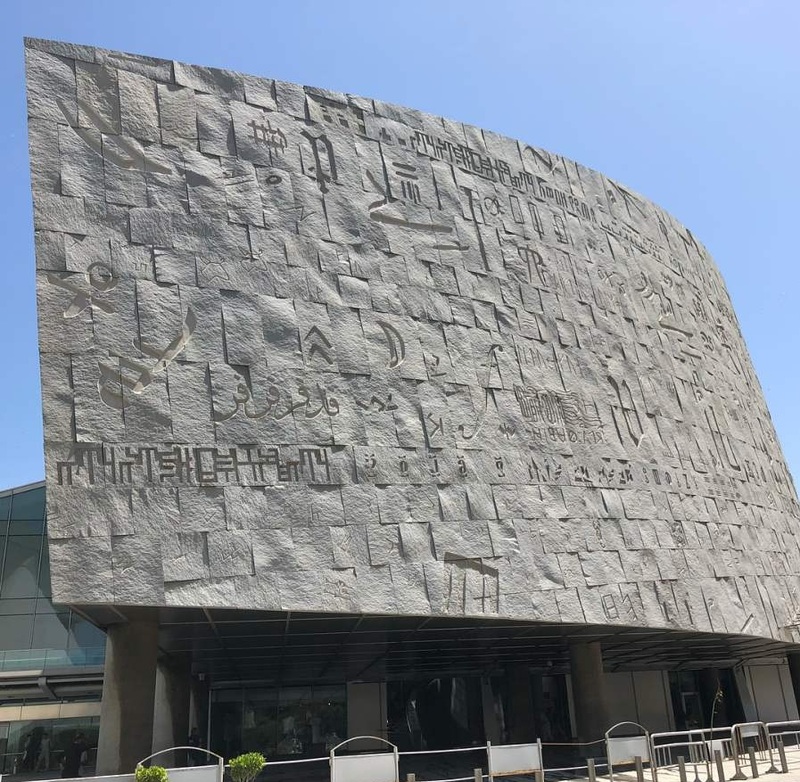 Alexandria Library one of the most important Alexandria tourist attractions, so don’t miss the chance to visit it during your Egypt tours packages with “Trips In Egypt” which provides you the best itineraries include visiting Alexandria Library.